MIS has been a pioneer in the telecommunication industry. Being experts in networking, telecom, IT, software development, turn key projects and project management, we have an edge. We have a broad product range comprising of switching, transmission, access, wireless and terminal equipment. We use technology expertise, sophisticated algorithms, world -class tools and disciplined design processes to provide end-to-end, multi-vendor design solutions. We offer a comprehensive suite of network deployment services that supports every phase of the deployment process. MIS provides cutting-edge training solutions that deliver both the skill and competitive advantages needed for telecom companies to stay ahead of the competition. We provide enigmatic IT and telecom solutions through our effective development methodology and creativity. 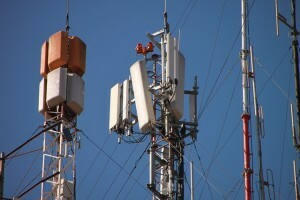 In the telecom segment the company provides network services to telecom operators, OEM’s and tower companies. MIS’s managed services allow operators to free themselves from non-differentiating tasks of building and operating their network and focus on their customers and products. Our managed services offers based on the build-operate-manage (BOM) model end to end services from network planning & design, system engineering, installation and commissioning, system integration, optimization, network operations and field maintenance. Our industry experience with exposure to a wide range of telecom products allow us to talk with authority, relate personal experience to enhance understanding of the Clients. Delivering the best standard quality solutions is the main feature of MIS. We never compromise with the client’s data and information and strive to hand over the best in the industry. With our devoted employees and state-of-the art technical department, we ensure maximum client satisfaction without any discrepancy in the work.